We are excited to invite law students to participate in the Best International Future Lawyer Award competition focused on the United Nations Sustainable Development Goals (SDGs) this year. The competition is organised by AIJA, the international association of young lawyers. The aim of the competition is to develop law students’ understanding of the global development agenda. We want to encourage them to identify international legal frameworks or law approaches in achieving the SDGs. Christopher Sawyer’s essay explores the existing, but perhaps inadequate, international legislation vis-à-vis humanity’s use of space and celestial bodies. He shows that although some legislation exists, there are simply not enough controls in place at present to properly govern a colony formed on the Moon. His essay considers that if a colony was formed off-world, its inhabitants would be from different countries and therefore different legal systems. Without a written legal system, without certainty, legal nuances would be lost and chaos would ensue shortly after inhabitation. Christopher also explores the concepts of citizenship and what this would mean for people who emigrate to the colony and the generations of people born there, as well as different forms of government which could work in controlling the colony (or colonies, as it were). Christopher graduated from the University of South Africa (UNISA) in September 2015 with a bachelor’s degree in commerce (BCom), with double majors in law and tax. He then pursued a bachelor’s degree in law (LLB) at the same university and graduated in September 2018. In his final year of LLB studies, Christopher took modules on International Law, World Trade Law and International Transport Law. With interests in aviation, science-fiction and law, Christopher hopes to move further into the expanding international, space and commercial legal fields, both academically and in practice. Free AIJA membership until 2022. Publication of the winner’s name and essay on AIJA’s channels. Invitation to attend free of charge the 2019 International Young Lawyers’ Congress taking place in Rome, Italy, from 3-7 September. Travel and accommodation will also be covered. 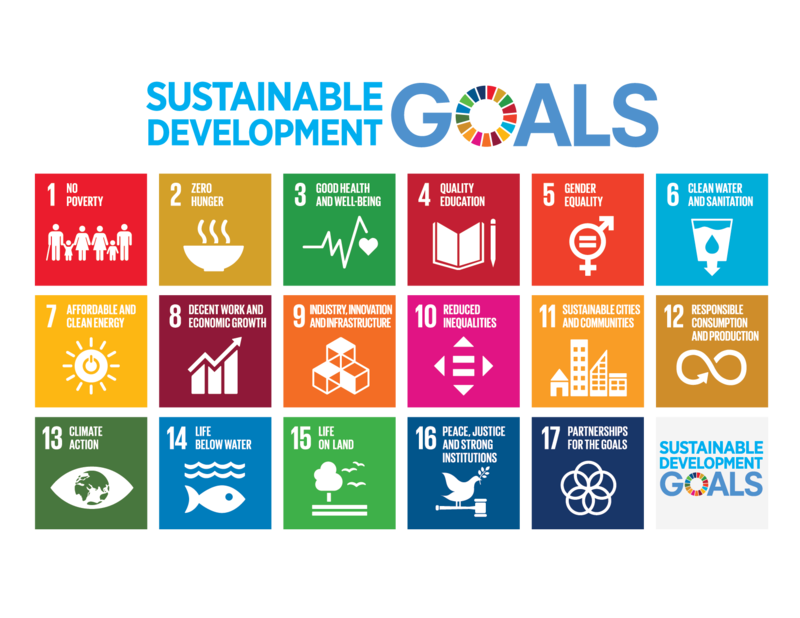 In 2015, 193 UN Member States agreed on a Sustainable Development Agenda document titled “Transformation of our world – 2030 Agenda for Sustainable Development”. The 2030 SDG Agenda consists of an ambitious set of 17 goals and 169 targets, and stresses that these are much broader than environmental protection and should be ‘implemented in a manner which is consistent with the rights and obligations of States under international law’. Access to justice and the rule of law are recognised through the 2030 Agenda as enablers of sustainable development. These are mentioned explicitly in SDG16 and embedded implicitly in other goals and targets through references to equality, inclusion and equity, rights, legal frameworks. If you would like to sponsor the competition, please write an email at office@aija.org. Description: The Best International Future Lawyer Award (the “Award”) is granted by AIJA for the best written essay (the “Essay”) submitted on a given topic each year. The competition is free to enter. Eligible candidates: Law students aged 45 and under who are still enrolled at any university worldwide at the time the Paper is submitted (“Eligible Candidates”). Eligible Candidates may be pursuing law studies at any level - including graduate or postgraduate studies - to the extent that they are not yet admitted to practice and/or licensed in their jurisdiction. AIJA membership is not a requirement to submit. Eligible Candidates may only submit one individual or joint Essay per year. Previous winners of this or any other AIJA award or scholarship are also excluded from the Competition. All other Eligible Candidates from previous years may apply again. Submission Format: an electronic application submitted through the website form. Joint papers are eligible, but all authors must be Eligible Candidates at the time of submission. Deadline: Essays are due by 19 May (midnight CET). AIJA will start accepting Essays as of 7 February. Submission deadlines will be strictly observed; late Essays will not be accepted. The paper may be the outcome of an Eligible Candidate’s assignment at University or the full or revised version of the Eligible Candidate’s graduate thesis. It must follow the topic published by AIJA that year. The text must be double-spaced, with twelve-point Times New Roman font and one-inch margins, in A4 paper-size. Between 10 and 15 pages, including footnotes. It must be divided into; (I) Executive Summary; (II) The Question(s) Presented section; (III) the Statement of the Facts / Statement of the Case section; (IV) the Argument section and (V) Conclusion. Anonymous. Essays need to be anonymous. Identifying information will be part of the submission form. Essays must not identify the university name or location. AIJA may disqualify any Essay that includes such identifying information. Anonymisation: AIJA will allocate a secret associative code to each set of Entry Form and Essay. Each Essay will be then detached from its Entry Form and only the former will be provided to the Evaluators, to make sure neither the Eligible Candidate’s identity nor his University are known by any of the Evaluators. Once the Award is granted to the winning Essay, AIJA will re-attach it to its Entry Form by using the secret associative code to know the Winner. Evaluators: The evaluation will be done by a panel of selected judges chosen by the Membership Forum of AIJA. There will be an evaluation panel consisting of an uneven number (at least three) of Evaluators. The Evaluators will read the anonymised Essays and will select one as the winner by majority of votes (the “Winner”). Evaluation Criteria: Essays will be evaluated on quality of research and analysis and novelty, profundity and overall contribution of the Essay to legal knowledge. Bearing in mind that part or most of the Eligible Candidates may not be native English speakers, Evaluators will nonetheless take into consideration the Essay’s grammar, spelling, usage and syntax, clarity, structure, and overall appearance. Eligible Candidates shall have no claim to be awarded the Award, even if all prerequisites are met. The decisions made by the Evaluators cannot be appealed against. Free AIJA membership for the three years following the award ceremony. Publication of the Winner’s name and Essay’s title on AIJA’s communication channels (website, newsletter, social media etc.). Invitation to that year’s AIJA Annual Congress, where the Winner (i) might be required to present a summary of the Essay at the relevant Commission’s meeting and/or working session; and (ii) will be granted an Award certificate during the Congress. The Winner will be exempted from paying registration fees. In addition, AIJA will pay for economy travelling expenses and accommodation. The Winner will also receive a specific badge. Further Recognition/Awards: AIJA and the Evaluators reserve the right, depending on the quality, quantity, geographic spread of the applications, to recognize and/or award further authors of Essays, with a prize of its choice. Eligible Candidates shall have no claim to receive such recognition/award. The decisions made by the Evaluators cannot be appealed against. Co-Authorship: When the winning Essay is a co-authored paper, the prizes described in (a) and (c) above will have to be divided between the co-authors, either in the way jointly indicated by them or in the way decided by AIJA if the former are unable to reach an agreement on how to divide the prizes. Copyright: AIJA shall be fully entitled to publish, both in hard copy and electronically, the winning Essay in any AIJA’s publication in any format or language. The Winner will be fully accredited as author. I certify that the above statements are accurate. If they were not, I accept that the award’s benefits will be withdrawn with immediate effect.